Dr. Joel Fish is a nationally recognized expert in the field of Sport Psychology. 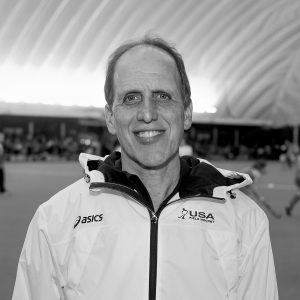 For the past 30 years, he has worked extensively with athletes of all ages and skill levels, from youth sport through the Olympic and professional ranks. With a variety of unique programs and services, Fish has been an innovator in helping individual athletes, coaches and teams reach their full potential by focusing on and mastering the mental aspects of Sports, Fitness, Exercise, Rehabilitation and Competition. During his career, Fish has been a sport psychology consultant for the Philadelphia 76ers (20 years), Philadelphia Flyers (18 years) and the Philadelphia Phillies (12 years). He is the only Sport Psychologist in the country who has worked with 3 professional sports teams in the same city at the same time. In the Philadelphia area, Fish has served as a sport psychology consultant for Saint Joseph’s University (25 years), the University of Pennsylvania (15 years) and Temple University (7 years). He has also been a leading advocate for promoting ways to teach life skills through positive youth sports programming. Fish grew up in the Overbrook Park neighborhood of Philadelphia and graduated from Lower Merion High School. A huge fan of local sports, he had the Philadelphia Daily News mailed to him in Worcester, Massachusetts so he could keep up with his favorite teams while in college. Nationally, Fish has spoken in the Unites States on Sport Psychology at over 300 universities and is a popular presenter at a variety of athletic functions. Currently, he is a sport psychology consultant for the USA Women’s National Field Hockey Team, and he also worked for several years with the USA Women’s National Soccer Team. Internationally, Fish has been a visiting lecturer for the past 5 years at the Wingate Institute and Zinman College in Netanya, Israel where he has taught about applied sport psychology and elite athletes. Frequently quoted in both the Philadelphia and national media, Fish has been featured numerous times on ABC, CNN, ESPN, Fox, HBO, and NBC. He is currently the Director of The Center for Sport Psychology in Philadelphia where he works with athletes of all ages and skill levels. Fish is the author of a popular youth sports book, 101 Ways to Be a Terrific Sports Parent. He received his B.A. from Clark University, M.A. from Temple University, and Ph.D. from the University of Wisconsin-Madison.